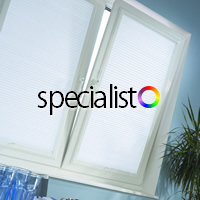 The Blind Factory Leeds – Manufacturers of commercial and domestic window blinds in Leeds, West Yorkshire. Real wood blinds offer a natural, warm and timeless beauty to any room and complement wooden floors perfectly. Choose from hundreds of colour options for your aluminium venetian blind. Please note that we will be closed from 4pm on Thursday 18th April and re-open at 9am on Tuesday 23rd April. May we wish all of our customers (past, present and future) a very Happy Easter and a joyous St. Georges Day. Why not just change the louvres? Either take one down and measure the fabric length in “mm” and count the quantity you need, or bring it into us and we will measure it for you. We have thousands of metres of material in stock and there are hundreds of samples to see. Our louvres are machine cut & sewn (by hand) and NOT GLUED, so there is no chance of them coming apart in the sun. Our prices start at £2.00 per louvre incl. VAT and you get hangers, louvres weights and chain included in this price too. Please call us for a price or come down to see the samples – there will be someone in Mon-Fri, 9am-2pm (but please call in advance to check that we will be here). We’ve got some great new products that have launched this year. Louvolite motorised Vertical & Roller blinds which can be controlled by Amazon Alexa (with a hub of course). We’ve a demo at the unit for roller if you’d like to have a try. Aquarius Soft Cloth Roller blinds – Roman material on a roller with a dimout or blackout lining bonded to it. Louvolite Disney ranges on roller blinds – Disney Characters printed on a roller blind. Eclipse Powershade systems and many others! As the saying goes “Out with the old and in with the new”. It doesn’t need to be that way all of the time. 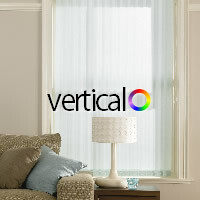 Are your verticals looking a bit shabby, dirty or unloved after years of hard work, hanging around and looking pretty? Why not just change the louvres? If the tracks are alright, save a few pounds and give a room that new look you’ve been thinking of without the cost of a full blind. To save even more, you could bring one of your louvres into us, we’ll measure it and give you a price from the hundreds of fabrics available and let you know when they will be ready to collect. Job done! We do our own fitting, rather than contracting anyone else to do the work. We believe that if Neil has measured, then Neil will fit the blinds. 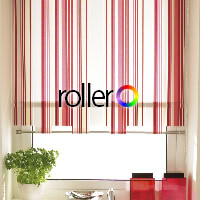 We also provide our blinds as SUPPLY ONLY. So, if you want to save a few quid and feel up to the task, why not have a go! For fitted blinds, our standard lead time is 2 weeks from ordering to fitting, but this can extend slightly at this time of year. 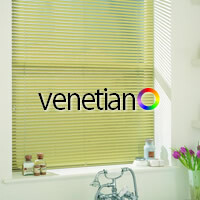 However, we don’t fit blinds supplied from others. We can only guarantee our own stuff – which is 12 months by the way – but we are only a phone call or email away. We have just created a Motorised headrail for a customer who has existing Roman blinds. He wanted the headrails to work at the touch of a button, whilst it is quite expensive to do this, this alleviates the need for operating chains and eliminates the child safety risk as the chains are removed. They can be powered by NIMH batteries and Solar re-charger, Lithium batteries or good old mains power and can even be added to a home automation system, controlled from your phone. Roller blinds can also be retrofitted with a Lithium Rechargeable Motor & Remote, whilst currently this is restricted to 40mm rotator tubes, we’ve heard on the grapevine that a 32mm variant will be available in the New Year. As ever, we have some great fabrics to view at the unit and hundreds more in the sample books. The internet cannot give you that touchy feely experience of the fabrics so why not come down a take a look for yourself? Our contact details can be found at the top right of this page. 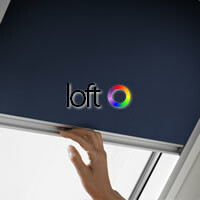 Let some light in to your life with a window blind from The Blind Factory Leeds! For some examples of our window blinds & fabrics, select from any of the window blind styles below.